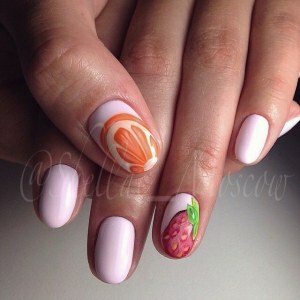 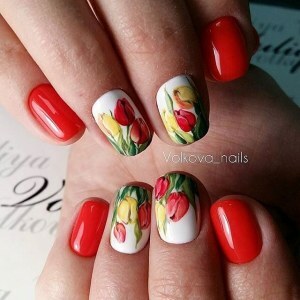 Spring theme: red and white nails with tulips. 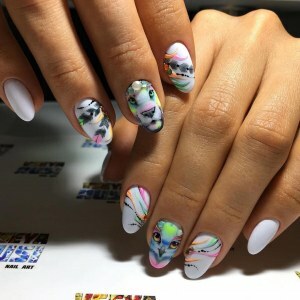 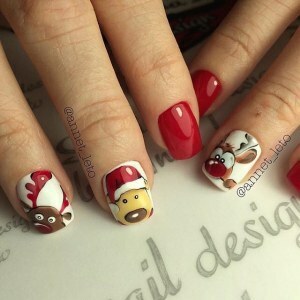 Christmas manicure with a funny painting. 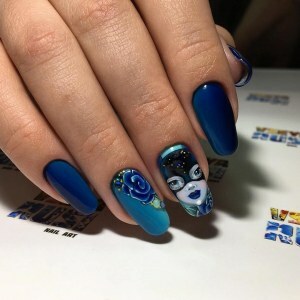 Summer nail art idea: blue nails with ladybug.